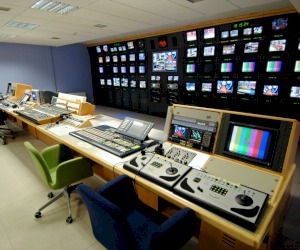 Design and installation of 4 TV studios, with a total size of 3500sq.m. 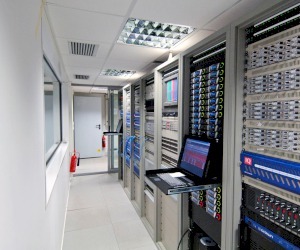 The system consists of 2 control rooms with their respective sound booths and a 10-rack C.A.R. 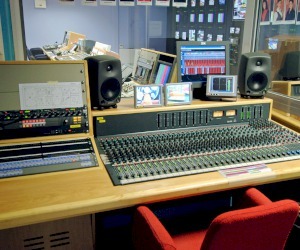 The studios are using a total of 24 SONY DXC-D55WSPL cameras, SONY monitors and Snell Wilcox vision mixers.